You might be surprised to learn that salmon is one of the most nutritious foods on the planet. 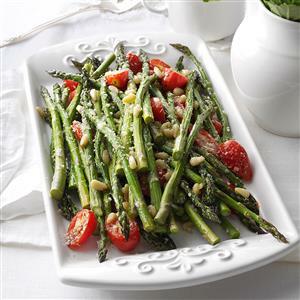 Not only is it loaded with nutrients, but it may reduce risk factors for many diseases. Salmon is a great source of B vitamins. Studies show that all the different B vitamins (B1, B2, B3, B5, B6, B9, B12) work together to optimize your brain and nervous system functions. Salmon is one of the best sources of Omega-3 fatty acids, which has several different benefits including lowering inflamation and blood pressure and reducing the risk for some cancers. Don't take my word for it! Do a little of your own research on the "benefits of eating salmon". It's summertime! So, let's cook our salmon on the grill! 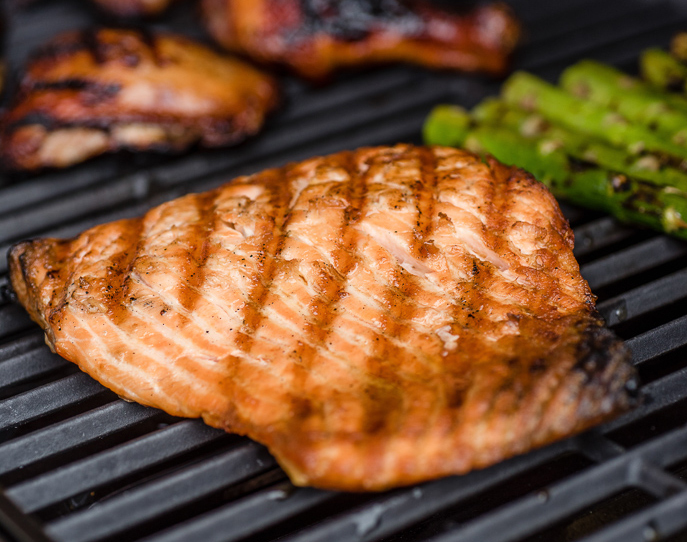 If you are grilling your salmon directly on the grill, choose salmon steaks or fillets. Consider buying salmon with the skin on - the skin helps hold the salmon together and minimizes sticking on the grill. No huge number of ingredients to prepare a great piece of salmon. Pat the salmon dry and season with salt and pepper. You are ready to go! Oil the grates on your grill and then heat to medium-high before adding the salmon. If you like crispy skin, place your salmon skin side down first on the grill; otherwise, start your salmon skin side up. Now for the MOST IMPORTANT PART! DON'T TOUCH THE SALMON! LET IT COOK! Salmon sort of "lets go" of the grill when it is ready to be flipped; use a spatula to help prevent your steak or fillet from falling apart. Expect a 1-inch piece to cook in 6-10 minutes. 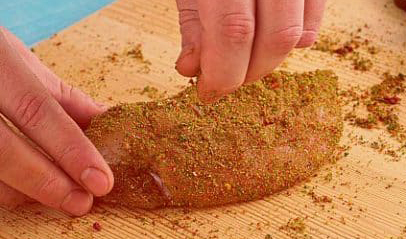 Flip your salmon when you are just over halfway through the expected grilling time. Complete grilling on the second side. If you see white beads collecting on the sides, then you are overcooking. When you remove your salmon from the grill, be sure to let it rest so that it can finish cooking (tip: you should do this for ANY protein that you cook/grill). 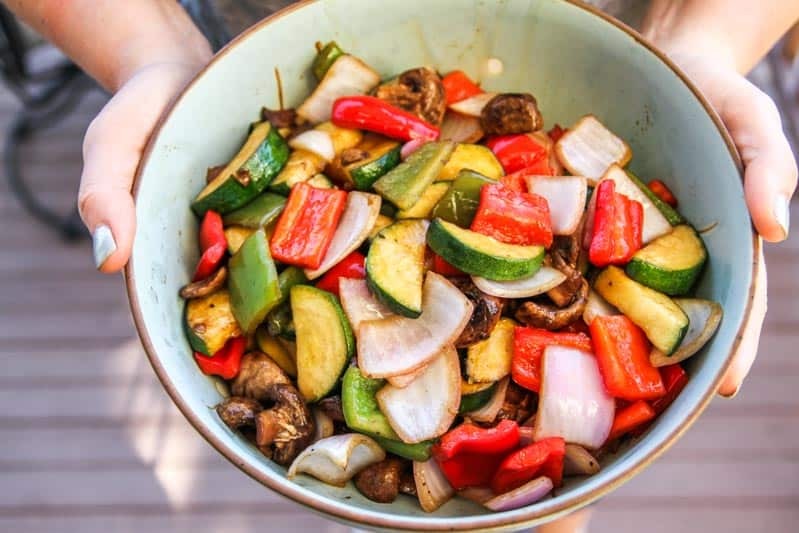 Serve with your favorite veggies and/or salad and you have a really healthy, filling meal for summer! There are other great methods for grilling salmon, using cedar planks or in foil pouches that are placed directly on the grill. Try different methods - you might be surprised by the difference in taste!